MAX Donnelly is standing down as Parramatta NRL club chairman after helping the club to reform following its salary cap scandal. Donnelly is to be succeeded by former senior bank executive Sean McElduff, a current board member. Donnelly became chairman after his appointment as the administrator of the Parramatta Leagues Club (PLC) in July 2016. He said he was moving aside to focus on the next stage of PLC reform. 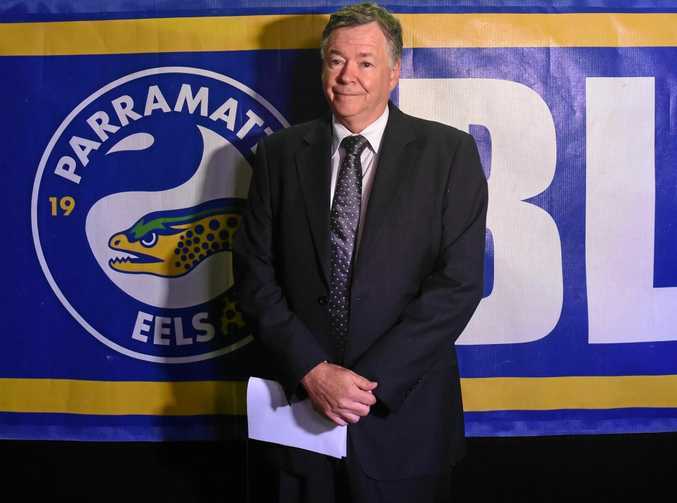 "When I became Parramatta Eels chairman in July 2016 my intention was always to oversee a smooth transition to a new chairman at the appropriate time," Donnelly said. "I am pleased to say that we have achieved that goal with the unanimous endorsement of Sean as our club's new chairman. "When I arrived at the club there were numerous issues and unresolved challenges that needed to be addressed and I am delighted to say that the vast majority of those are no longer factors or hurdles that will affect the club's progress moving forward. "We have enacted constitutional reform through a new governance platform and we have financially stabilised the business." Off-field reform has yet to be reflected in on-field performance with the Eels in danger of collecting the NRL wooden spoon after starting the season among the title favourites. "While we are all disappointed with the on-field performance in 2018, I am proud that we now have a board and management team focused on addressing these issues strategically and with purpose," Donnelly said.